I haven't done a hair in Naija post in a while but here's one and it's great news. Will everyone in Calabar please stand up? 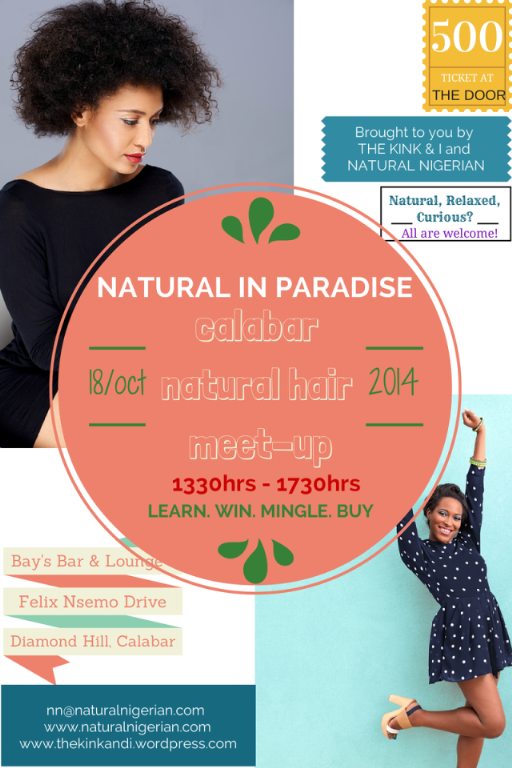 There's a natural hair event coming your way! Here's the flyer below, it has all the details. Meanwhile, I was featured on one of my favourite-est blogs ever; thekinkandi. They started featuring transitioners on their Hairspiration segment, starting with lil ol' me. #shoki! Congrats on the feature. Whoop! Whoop! !